¬†So you bought a new pack of shisha or maybe even more! Lucky you.mmmmmmmmm. But don’t just open it up and pack up your bowl… its so important to acclimatize your shisha to YOUR weather and¬† humidity conditions. The shisha was probably packed during the hot dry weather of Jordan in the Middle East.Dry. And by you its wet, cold and humid. The shisha is in for a shock, and so are you if you do not leave the shisha open for at least ,I mean at least 4 hours, no less. I keep mine out around 20 hours. Open the packages, spread out the tobacco and enjoy¬† the smell while you smoke from your previous stash. 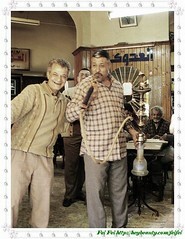 For more articles look under “acclimate” shisha under the search¬† space here on the blog/ forum. Don’t pack so much shisha ever- only to just below the level of the bowl’s lip , or it will burn for sure on contact with the tin foil!